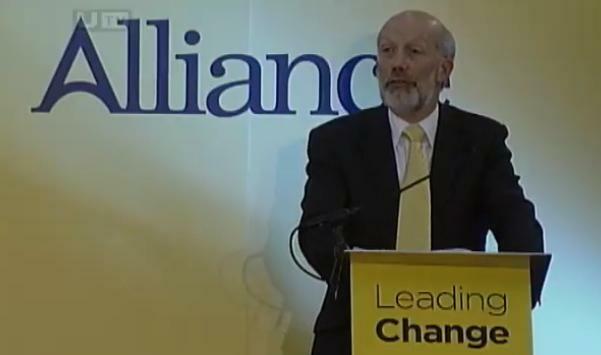 I was delighted to have the opportunity to address Alliance Party Conference today. We met at Dunadry Hotel, Antrim and were joined by Enda Kenny TD, Leader of Fine Gael and widely considered as the next Taoiseach. The party was in an extremely upbeat mood and were inspired by many of the speakers including Deputy Leader Naomi Long MP plus Justice Minister and Party Leader David Ford MLA. A number of our election candidates were given an opportunity to speak including me. Below is a copy of my speech, described by blogger Alan in Belfast as "one of the strongest and best-written candidate speeches". People across America and beyond this week remembered Martin Luther King. Martin Luther King inspired me to get involved in politics over twenty years ago and continues to light a beacon of hope which shines brightly across the globe. That’s why I am a member of Alliance. Alliance grasps challenges and doesn’t run away from controversy. For the last forty years we have been Leading Change. Standing up for what is right and taking action to deliver a Shared Society where diversity is viewed as a strength not a weakness. Whether it be by saying that everyone is welcome here, regardless as to whether they are black or white, Romanian or Polish or stating that if we want a first class water and sewage system we need to work out a way to pay for it, we measure up as leaders who have the courage to say what others shy away from. As an Alliance Councillor on North Down Borough Council I look forward to the forthcoming elections. I hope the people will choose me to represent them for the next four years. Since being appointed as a Councillor last July I have achieved lots but have much more to do. Whether it be in relation to a Shared Society, the Economy or the Environment I am leading and delivering change day after day. I stand out from the crowd and am known for my clear Vision and Values. These are Alliance Values. I believe that division is wrong and sharing is a must. I also believe that to grow our economy we must tackle the division and intolerance which exists across Northern Ireland. We can no longer afford to spend billions on division and indecision each year. As a committed environmental activist I am proof that you can be green by voting yellow. Whilst the Greens talk about obscure issues I am focused on the real issues of concern affecting peoples everyday lives. Earlier this week I packed a room full with over one hundred people. In response to plans by NI Water to sell Reservoirs across Northern Ireland people flocked to my meeting to support the Save our Reservoirs Campaign, initiated and led by me as an Alliance representative. From Seahill to Stoneyford, Lough Cowey to Craigantlet, Portaferry to Portavoe Alliance is on top of the environmental agenda. Today I am happy to announce that after months of lobbying nearly £3m worth of investment is now in the pipeline to end the awful problem of sewage pollution into the scenic Kinnegar Lagoons. Through my dogged determination I am both leading and delivering change. The environment isn’t however the only issue in town. There’s many other issues facing Northern Ireland. It’s easy to talk about a Shared Future but delivery is an another matter. As Northern Ireland’s first openly gay Councillor I am well aware that I made history last July. I broke the mould and have been warmly accepted by most people. I am however aware that I am not the only gay in the village. Whether it be by engaging with the Loyalist Ladies of Loughview or local GAA Club I am taking real action to build a Shared Holywood which powers a strong economy with a bustling Town Centre. The days of plenty are over. Now is the time for smart, shared and sustainable solutions. Last year people told me Alliance wasn’t going anywhere. How wrong where they? We are now going to the Executive table and to Westminister whilst others go nowhere. The challenge ahead is to continue leading change across Northern Ireland. To those who doubt us I say Yes we can. To those who said Naomi Long wouldn’t get elected as a MP I say Yes she did. To those who ask whether we will increase our number of MLAs and Councillors at the next election I say Yes we will. Let’s breakthrough old politics of the past towards new shared future where politics works and businesses grow. Together we can change Northern Ireland. Meanwhile, few people recognize the absurdity of humans, who kill so easily and violently, and then call for Peace on Earth. Who the hell do you think you are, comparing yourself to Harvey Milk??? You ride the 'GAY' train yet you have done nothing for the Gay people of NI!!! 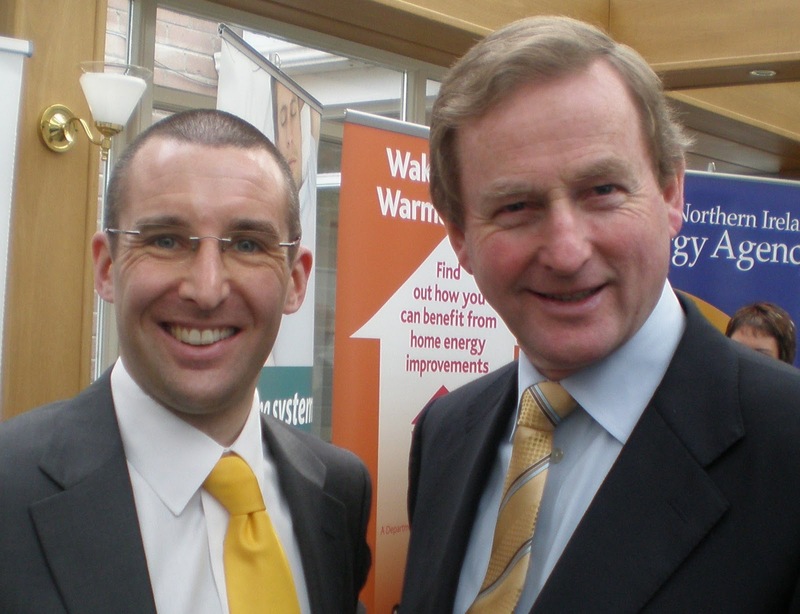 Of course, any comment by me could be the kiss of death for your future electoral success!